The HOST Dry Cleaning System works with low-moisture HOST extraction sponges to quickly and effectively deep clean and remove soil and allergens from carpeting. Depending upon the amount of soiling, apply light, medium or heavy amounts of HOST EXTRA dry carpet cleaner extraction sponges to the carpet. Using the applicator model HA3, the sponges can be applied in a controlled manner to the floor. Agitate the HOST sponges using either the Freestyle or Liberator extractorVACS. (The Freestyle extractorVAC separates into a deep cleaning machine and a tank vacuum for high dusting and detailing. The Liberator extractorVAC vacuums, spots and cleans larger areas at the flick of a switch.) After agitation, use the Freestyle or Liberator extractorVacs in the extraction setting to pick up the soil and allergen absorbing HOST sponges, leaving carpets virtually dry instantly. 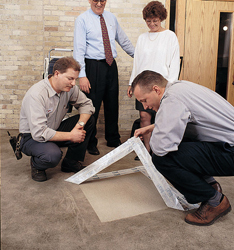 HOST dry extraction simplifies carpet cleaning for the employee and reduces maintenance costs. The system also has available: HOST Prep Traffic Lane Cleaner, which dilutes at 1:4, is used in heavy-soil environments for deep restoration cleaning. The HOST system is safe for people and pets and reduces allergens, dust mites and mold spores in carpet up to 85%! The HOST System of applying HOST Dry Carpet Cleaner to the carpet, brushing it through the carpet and then vacuuming up the HOST Dry Carpet Cleaner removes dirt and reduces allergens. Research studies have shown that one cleaning with the HOST System using HOST Machines reduces: Dust mites by 78%, Dust Mite Allergen by 75%, Cat Allergen by 85%, Mold Spores by 85%. EPA registration #074202-WI-001. The Liberator from HOST provides superior deep carpet cleaning in large areas with greater dry soil removal than conventional vacuums and superior removal of damp HOST Dry Carpet Cleaner. The Liberator can vacuum lawn mower style up to 6,000 sq. ft. per hour. It offers greater dry soil removal than conventional vacuums. The counter-rotating brushes lift pile to revive matted traffic lanes and dislodge soil from carpet fibers for a deep clean. Onboard tools are provided to lessen trips back to the janitor closet. The Freestyle from HOST with removable vacuum pod and detachable base unit is ideal for cleaning carpeted stairs, under desks, tables and work stations and detailed cleaning. The Freestyle provides greater dry soil removal than conventional vacuums as well as superior removal of damp HOST Dry Carpet Cleaner. The counter-rotating brushes lift pile to revive matted traffic lanes and dislodge soil from carpet fibers for deep cleaning. 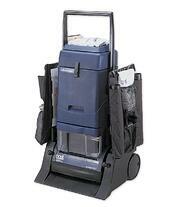 The detachable base unit is ideal for cleaning carpeted stairs. The Reliant is an excellent starter machine for use with the HOST sponges. It is superior for small cleaning jobs. The counter-rotating brushes lift pile to revive matted traffic lanes and dislodge soil from carpet fibers for deep cleaning. 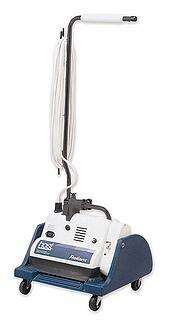 It is ideal for cleaning carpeted stairs. The T-5 Reliant can be upgraded to have all the features of the Freestyle. It is also excellent for cleaning grouted floors. A wheeled storage/transport tray is included with the T-5 Reliant. 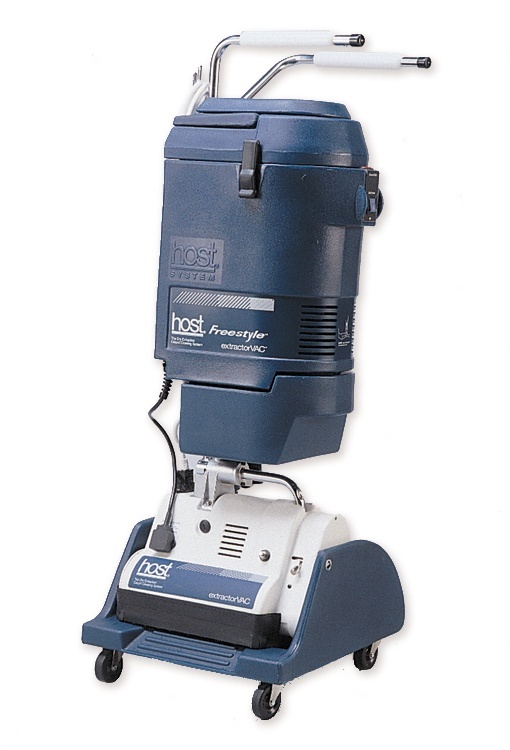 Dispense HOST Dry Carpet Cleaner quickly and easily with the HOST Applicator. The HOST Applicator features three ìSmart Settingsî for light, medium and heavy soil and accurately controls dispensing to avoid waste. The HOST Applicator is maneuverable, making it ideal for both commercial and residential use.